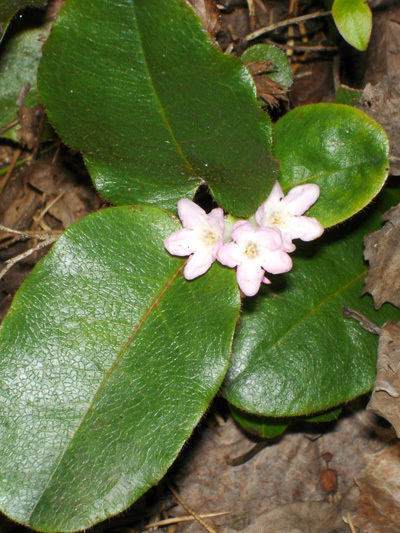 Although one can find it on the entire territory of Quebec, the Mayflower is fairly rare. Near Trois-Rivieres and in Mauricie region however, we find the Mayflower in large numbers and over large areas. The flowers, and even more the fruits, are very discreet, it's rather the leaves that we notice, leathery, ribbed and persistent.